“I love to touch antique objects, and I sense a great past – of generations and generations – that I think are a part of the works." This is not a profound saying of an art historian, but a statement from a renowned art thief, Vieran Tomic. Nicknamed the ‘Spiderman Art Thief,’ February 2019 marks the two-year anniversary of the thief’s arrest. A picture of art thief, Vieran Tomic, BBC. Reported by the BBC in Feburary of 2010, Tomic confessed to stealing 104 million euros worth of paintings, including an Henri Matisse and a Pablo Picasso from the Musee d’Art Moderne in Paris back in 2010. Five paintings were stolen from the museum by Tomic, who carefully planned and executed the theft successfully before being turned in by a witness – a young French skateboarder who happened to be skating the streets of Paris at 3 A.M, when he noticed a man diligently unscrewing and re-painting a window to get into the gallery. But Vieran Tomic is not just an art thief – at least, not in the modern sense of the term. There is a certain romance to his method – a certain meditation that comes with creative genius. According to The New Yorker, Tomic completed his first heist at age ten, when he broke into a library and climbed through a window above street level. Stealing two books, Tomic proudly stated how this event, among others, proved his “unhealthy intelligence” and acute intuition, boasting “nobody ever taught me anything”. 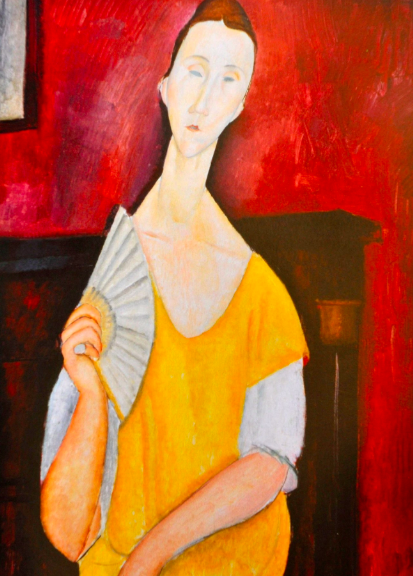 A reproduction of Modigliani’s La Femme a l’Éventail (1919), one of the paintings stolen, The New York Times. Tomic’s daring obsession with the arts raises an interesting question about art thieves who steal for the, well, art. Do we judge someone based on the risks they would take to admire their favourite artists? Or, as self-proclaimed art appreciators, do we admire them? Do we reprimand someone based on the ways they take something that isn’t theirs? Or do we let it slide, like we do in political affairs? Does the degree to which one considers themselves a lover of art extend past the affluent and the educated as society tends to believe? Or is the role of art-lover a malleable one? The resurfacing of the news comes at an interesting time when subjects like Ted Bundy — a serial killer known for his good looks among other crimes – are romanticised in popular culture. It leaves the impression that society values a glamorous story with a devastatingly twisted backbone. Ted Bundy was a murderer. Tomic was a thief. But we excuse, and we romanticise and then we write films or news articles about them, ironically immortalising their wrongdoings. Which leads one to wonder, to what extent is this romanticising acceptable, and to what extent does it matter? Are we a society that prides hidden aesthetes with lurking potential or are we a society that condemns in black and white? To this day, none of the paintings Tomic stole have been recovered. Halpern, Jake. "The French Burglar Who Pulled Off His Generation's Biggest Art Heist." The New Yorker. February 04, 2019. 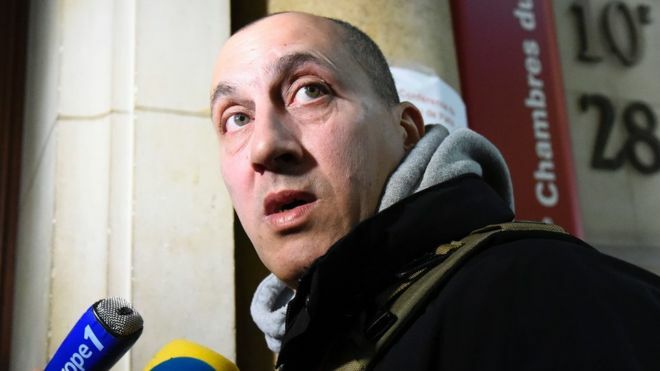 Accessed February 06, 2019. https://www.newyorker.com/magazine/2019/01/14/the-french-burglar-who-pulled-off-his-generations-biggest-art-heist?fbclid=IwAR0ld5NWnFfH3iblZmnNAYkBOAc8v-WDerYh_JFuIXq1BvJG1xDlSGuEAxw&utm_campaign=pockethits&utm_medium=email&utm_source=pocket. Morenne, Benoît. "Paris's 'Spider-Man' Sentenced to 8 Years in Prison for Art Heist." The New York Times. February 20, 2017. Accessed February 05, 2019. https://www.nytimes.com/2017/02/20/arts/design/vjeran-tomic-paris-spiderman-sentenced-to-8-years-for-art-heist.html. "'Spiderman' Art Thief Vjeran Tomic Jailed in Paris." BBC. February 20, 2017. Accessed February 05, 2019. https://www.bbc.co.uk/news/world-europe-39031690.